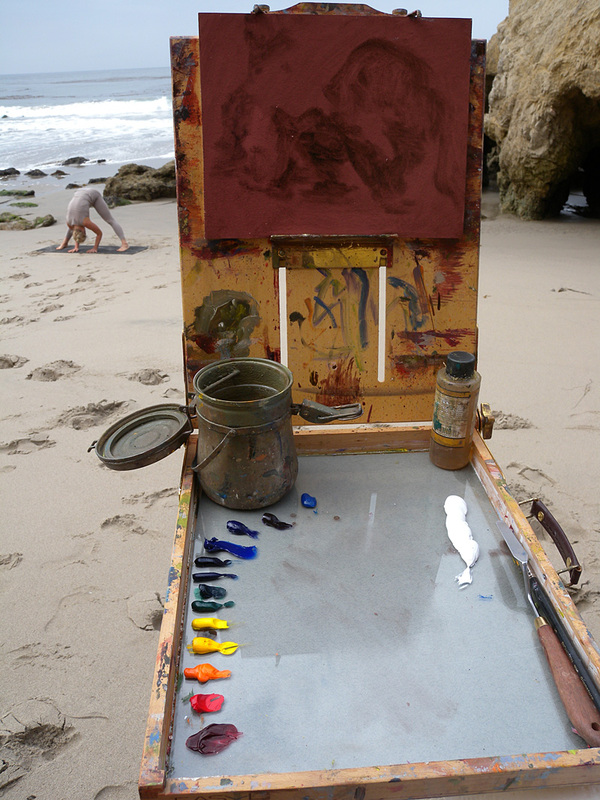 The Ventura County chapter of the California Art Club hosted their monthly paint-out at El Matador State Beach this morning. I know… its LA County, but whateveh! I think I was the first one there at 9am, but soon there were about 15 of along the beach and up and down the cliff-side. When I arrived at the beach, there was already one occupant… a yoga instructor shooting a series of videos doing her poses. She continued as I set up. Once we both got into our own rhythms, we were able to focus on our own tasks, but it was nice to have someone on the beach with me. 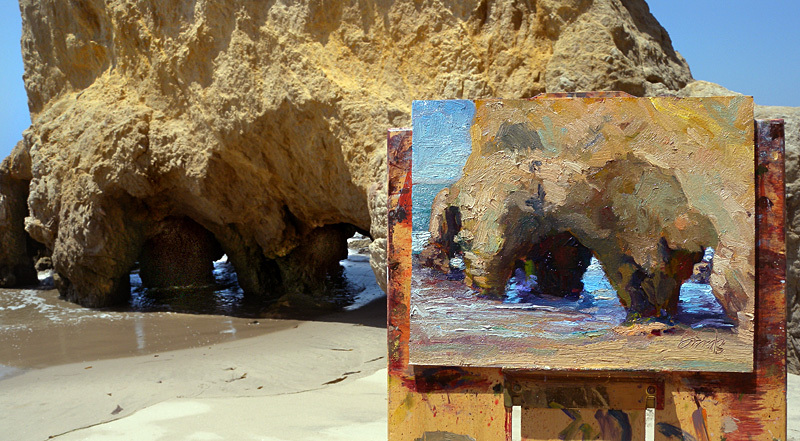 I know I already told you this when we were there at El Matador, but that painting is FANTASTIC!! !… I mean really one to make a viewer drool over it!!! Nice to connect with you again, by the way. 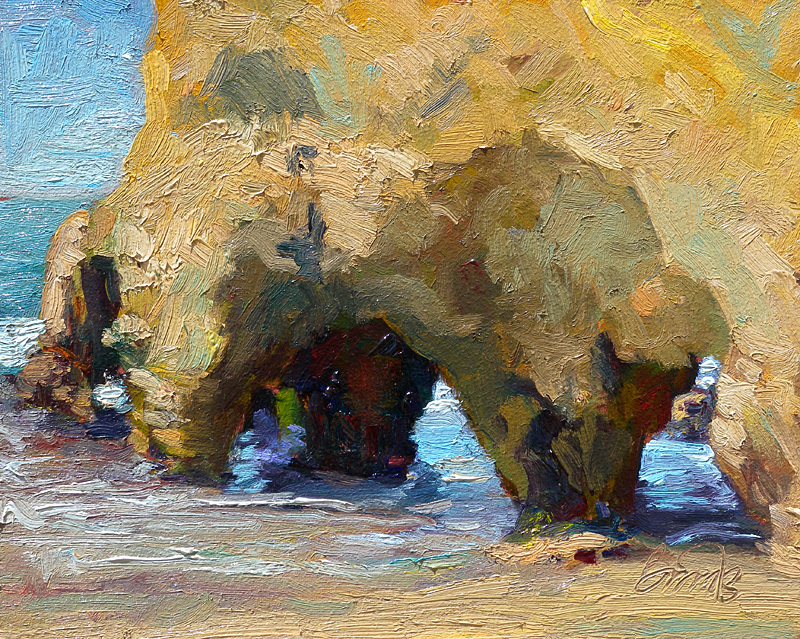 Finally posted the blog… Wish I had painted as well as you did. Yours is so gorgeous!! Show it to David… He’d be proud of you!! Wish I had painted as well as you did. Yours is so gorgeous!! Show this painting to David… He’d be proud of you!! Hi I’ve just arrived via a link on Marian Fortunati’s blog. I love this painting and the photos. i look forward to seeing more of your work.